What do you do when you have your grandsons with you for the weekend? 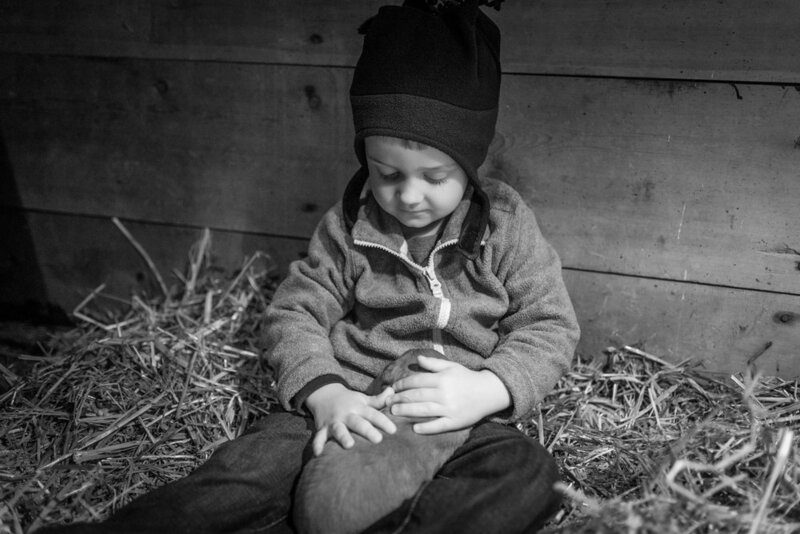 You visit the farm and take your camera along with you to capture the memories. That's what you do! Once we arrived at the farm, we were greeted by Chole, a golden retriever. She was anxious, like any proud mama to show off her new litter. Caleb and Clayton weren't too sure about the sheep, goats or chickens, but they loved the puppies! It was a great way to spend a gloomy Saturday afternoon. 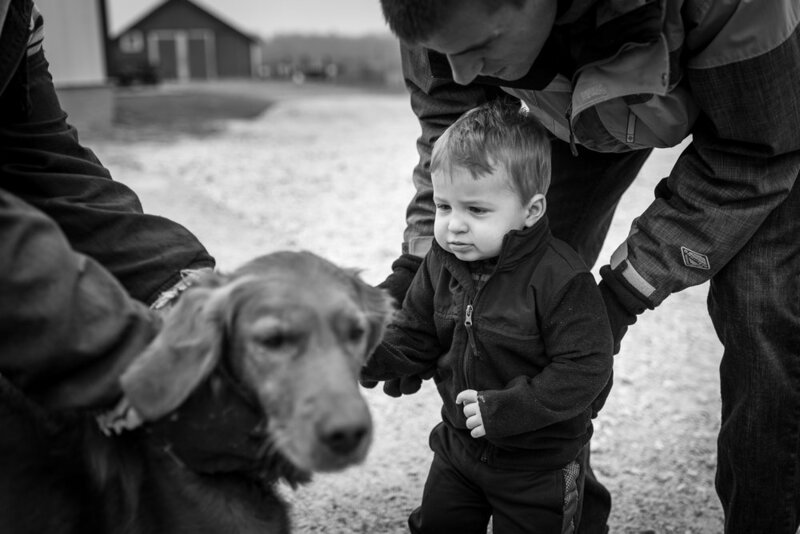 We got to hold puppies, explore an old barn, visit a hen house, pet farm animals and make memories. And most importantly we captured the special memories so our grandchildren can enjoy them over and over again in the future. It was a good day. It's always a good day when you get to hold a puppy and you're with the people you love.